Don’t trip, at least not until after you have read this post. This post serves as a recipe as well as information about plant-based nutrition. In my journey to expand my plant-based protein sources, I stumbled upon hemp seed. For some of you, bells are going off now and you are thinking ‘Is he promoting marijuana?’ ’See ma, I told you pot is okay?’ Not at all. At Off The Grid Health we believe in a clean lifestyle devoid of hallucinogens, alcohol, and recreational drugs of all forms. This is not the hemp some might be thinking about. The hemp seeds that are used to grow the leaves that make marijuana cigarettes contain a substance that is only found in hallucinogenic concentrations in the rarest form of hemp. The chemical responsible for ‘the high’ in marijuana is 2500 times greater in those seeds than in the seeds found in stores. It is not possible to get high or fail a drug test eating hemp seeds. All parts of a plant are not the same. For example, the flesh of apples and cherries are healthy and delicious but their seeds contain deadly cyanogenic glycosides. Hemp seeds impart a nutty flavor to this milk and, in my opinion, serves as a great base for a plant-based protein smoothie. 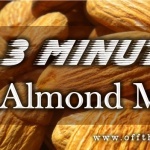 This recipe has almost 5 grams of protein, 182 calories per cup and 5.5 g of fat. 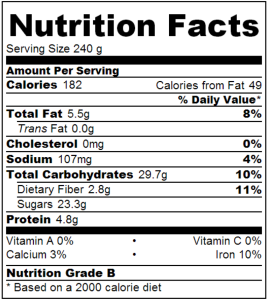 See Nutrition Facts below, enjoy! 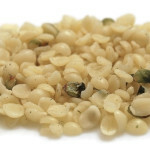 Add 2 C. of water and hemp seed to blender. Strain through nut milk bag or cheese cloth. Return strained milk to blender. Add remaining ingredients to blender. Note: The dietary fiber will be lower than indicated above after you strain the milk. However, you should have very little sediment in left in the bag after straining. I strain the mixture to make the milk white but straining is not necessary. Trying 10 Drops Lo Han (equivalent to 1/4 tsp. of sugar) to sweeten further. Using Raw, Organic, Non-GMO, Gluten-Free Shelled Hemp Seed.